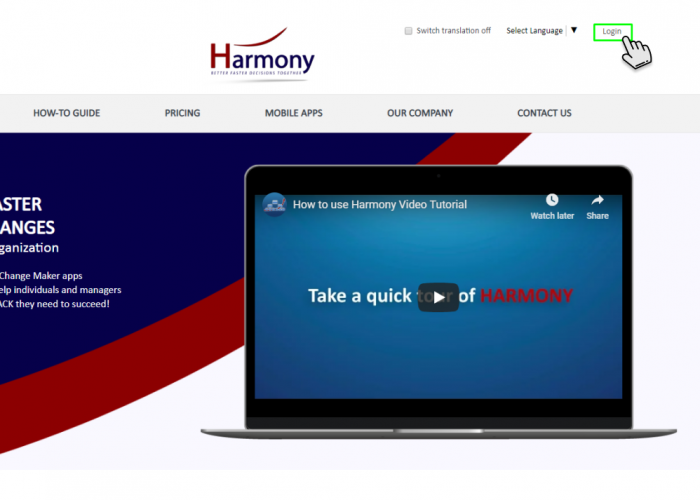 How to subscribe and use different versions of Harmony Web Apps? For login to existing user account please click on login button. New user can register through registration link or using social media accounts. 1. For login to existing user account please click on login button and enter valid credentials. 2. New user can register through registration link or using social media accounts. The new online Web App version contains 5 modules – Strategy and Tactic (S&T) Design, S&T Validation, S&T Planning, S&T Execution and S&T Audit including Conflict Resolution and Best Practice definition. All S&Ts and related data is stored “in the cloud” on secure Amazon servers, securely accessible from any device with a web browser – anywhere, anytime – allowing easy sharing and collaboration with other stakeholders. The Web App version can also be used in offline mode to ensure you can continue working on your S&Ts or conflicts even when you aren’t connected to the internet.